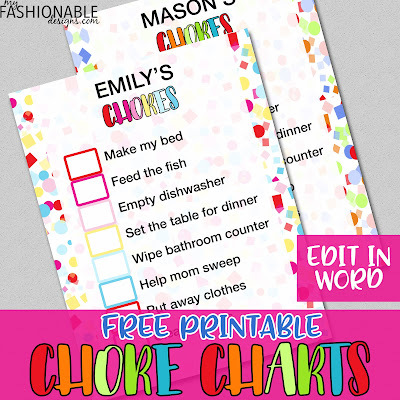 My Fashionable Designs: Free Printable Chore Charts! Enjoy this set of colorful printable chore charts in a pink and red version!!! Edit name and chores in Word! Now that school's out, it's time to give those kids some extra work 😉!! !